Online child safety issues are only getting more crucial as the average age for children online keeps dipping lower and lower. In many ways this is a good thing: There are great educational possibilities and it connects young minds to a bigger, wider world. But we know there are many pitfalls. As my colleague Tony Anscombe recently noted during the Child Internet Safety Summit 2015, all too often people don’t think about digital safety in the same terms as the overall safety of our kids – or begin their education about it as soon as we would, say, street safety. But the best time to start teaching children about Internet safety, literally, is as soon as you let them start using it. In that vein, I was excited to hear about an online project developed by the Public Library in San Jose California that is designed to help people of all ages understand privacy issues: The Privacy Literacy project. The program is developing online tools that will help people understand digital privacy and make more informed decisions about their online activities. What better place for families to learn and find tools about digital safety than your local library? The program was awarded a $35,000 grant earlier this year by the prestigious Knight Foundation and it began prototype testing of its new privacy tool in June. 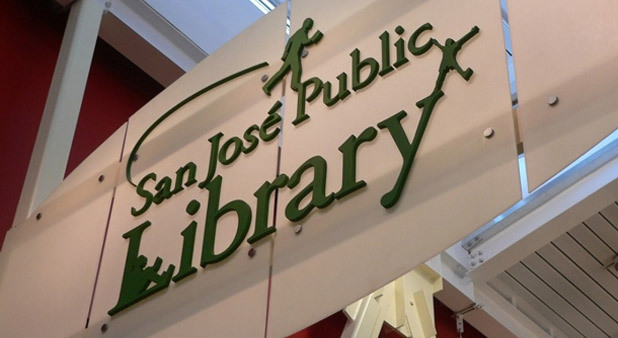 In an ingenious move, the San Jose library partnered with game developers at San Jose State University’s Game Development Club to create its working prototype. The result of the collaboration between the gamers and the library is a simple video-game that might remind you (if you’re of a certain age) of Pac-Man. Users follow multiple levels and collect tools as they learn more about privacy and negotiating the online world. The prototype was featured this last June at the American Library Association’s annual conference, held in San Francisco. As we all know, a tool that makes this process fun is bound to have a greater chance of success! I should mention that this tool would certainly not be limited to children. For example, many older people without digital access of their own increasingly use tablets and laptops at libraries (just look around at your local library sometime). And many of these people are applying for jobs or aid through these digital devices, often sharing sensitive information. This is a great way to educate these groups at literally the point of entry. In everything we do, from our products to our Smart User program in support of the Clinton Global Initiative to our Magda and Mo series for children and the many articles we provide for families, AVG advocates online safety. And we applaud all efforts that help educate users about digital security. It is especially encouraging to see libraries become engaged in privacy literacy given their background and relationships to the community.